In the start of 1991 a couple of bikers started a club called Morbids MC in Helsingborg. A couple of years after that they meet Bandidos MC Denmark. Morbids MC liked the way Bandidos MC were, and decided to try to be a part of that club. 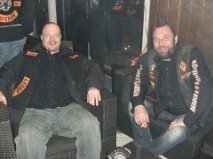 Some members from an earlier club in Helsingborg called White Trash MC also joined. 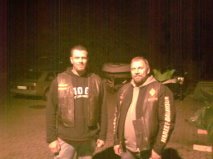 With White Trash MC was Michael “Joe” Ljunggren, who later on became president in the club. Morbids MC was in January 1994 accepted as hangarounds in Bandidos MC. 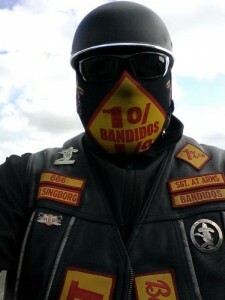 In january 28 1995 Sweden got the first Bandidos MC chapter in Helsingborg. 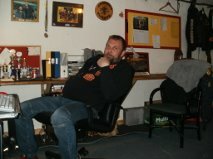 Later on in July, Michael “Joe” Ljunggren was shot while riding his motorcycle and died of his injuries. A year after that we lost another member called “Face”. Face was also shot and died of his injuries. These two members lost their lives in what the media often call the Scandinavian biker war, that ended in september 1997. We are proud to say that still today the chapter stands strong, and will do so for many years to come! !